PDF to BMP-converter: Convert files to a different format in a jiffy. PDF files are great way to store, use and represent. However, there are occasions when we need to convert these files to BMP i.e. Bitmap files. In such cases, PDF-to- BMP-converter can be used. Zamzar is an online tool that helps you covert PDF to bitmap. This tool does not require any space on you PC as there are no downloads involved. You simply have to go on this site, follow the simple steps indicated and the converted copy will be sent on your email id. 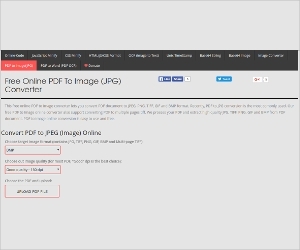 This is yet another tool which helps you convert PDF to BMP online. 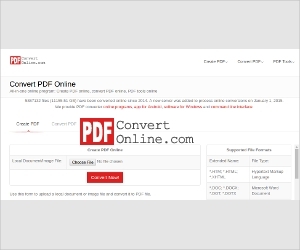 PDFConvertOnline does not require you to install any software and has a very simple interface. Once you go on this site, your file will be converted in 3 simple steps – upload, convert and download! DigitZone is a PDF to BMP convertor software. 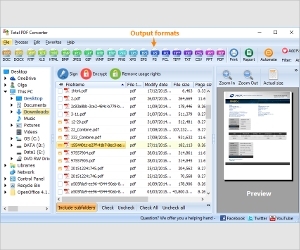 This software can process a large batch of PDF files at once. 100 PDF files can be converted into BMP format in one go. It supports more than 6 languages including English & French. DigitZone also supports run from command line. 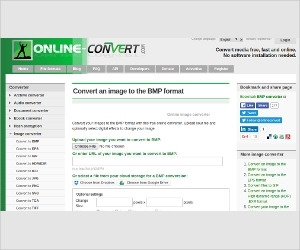 Online-Convert offers free conversion of files from PDF to BMP. You can choose your file from a variety of sources like from your PC, by providing the link to the file or by directly uploading it from your Dropbox / Google drive. No download or installation is required to use this software! 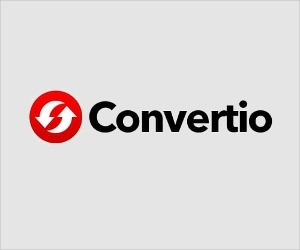 Convertio is an advanced tool which helps you convert PDF to BMP online for free. You simply have to select the file or drag it to the website & follow the simple instructions that appear on the screen. The file thus converted can be saved to the Google drive or DropBox. 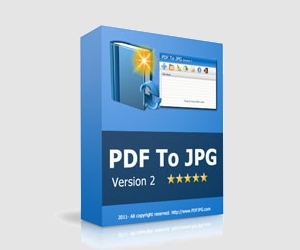 PDF to JPG converter is a free software to convert PDF to BMP. It process files 187% faster when compared to other converters. It also supports batch mode which enables conversion of multiple files at once. Other features include conversion of page range & ability to customize DPI. 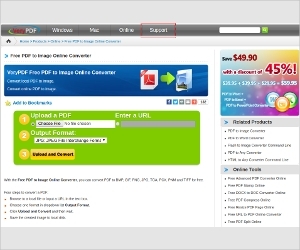 VeryPDF enables you to convert PDF files to BMP online. You can convert files of up to 10 MB using this tool. However, it provides an option to convert large files too. 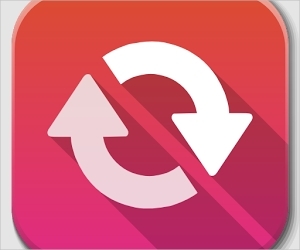 All you have to do is upload the file and click convert & download the converted file. 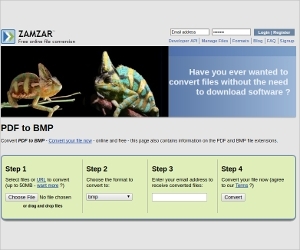 You can convert PDF file to BMP easily by using Online-Code’s tool. You do not have to download or install any software to use this tool. All you have to do is visit the site and in the bottom select the options in the dropdown and convert your file quickly. CoolUtils is an advanced software which converts PDF to BMP. Is enables you to choose from a variety of options such as DPI resolution, different page sizes along with page to page conversion. It has a user-friendly interface and its ability to process files quickly is remarkable. What is PDF to BMP converter? PDF or Portable Document Format is a format that is used to represent files without any dependency on factors like operating systems, applications, etc. However, sometime we need to convert such files to Bitmap format and this is where PDF to BMP converter comes in to the play. Bitmap is a format that is rather simple to represent as an image file. PDF to BMP convertor is a tool or software that helps you in converting the files from PDF to bitmap format. It can process a single file or multiple files at once depending upon the software you choose. Some software also provide features such as page to page conversion, customisation of DPI resolution, etc. You can freely use some tools online without having to download anything, there are some others with richer features which needs installation of application on your PC. How to install PDF to BMP converter? Some online tools gives you the freedom to convert files from PDF to BMP without having to install any software. In such cases, you need to go the the website, upload your files & choose the options needed and click on convert. The converted file can then be downloaded. However, these online tools have some limitations like – they cannot process more than one file at once. In such cases, special software can be downloaded and installed. You simply need to go on the software website, download the installation file and open it. Follow as instructed on the screen and the installation will be completed in no time. While online PDF to BMP converters are simple, quick & free, they have their own limitations. Hence, it is recommended to have good software installed if you want to convert files from PDF to BMP on a regular basis. Online converters have very basic features & hence fewer options. On the other hand, the software that you install helps you overcome all those barriers. For eg: you cannot process more than one file in most of the online converters & software that you install and they come with a batch process feature. In some good software, you can choose to convert 100 files at once! 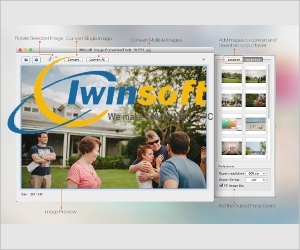 Other features include controlling DSI resolution, one image for every single PDF page & faster processing speeds. Also, you can convert files when you are not connected to the internet if you have any PDF to BMP software installed on your computer. 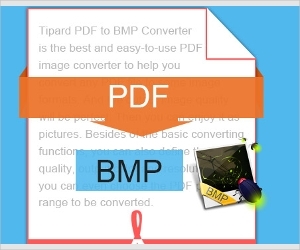 Tipard Pdf To BMP Converter is the best one in the market when it comes to finding free file converter for windows. It is easy to install & use and also offers rich features such as batch mode, page range conversion & multiple file formats. All File Converter is the best option when it comes to converting files from PDF to BMP on your Android smartphone. You have to follow simple steps to get your files converted. However, it requires an internet connection to convert the files and it has a good processing speed. Image Converter for Mac is what you should go for to meet your file conversion needs. This is a free software that enables batch conversion at a single click. It has easy and user friendly navigation which makes it easy to use. Conversion speed of this software is also notable. There are some other options as well to get your files converted. These include software like: a-PDF, iskysoft, PDFMate, Bluefox, Uni PDF converter, Tipard converter, Onlinf2PDF, PDF shaper & Fusion PDF Image Extractor. All of them serve the purpose of converting the file from PDF to BMP with good processing speed. So far, Zamzar’s conversion software is making rounds in the market. This software is developed to process files with great speed without having to download or install any software on your computer. Simply upload and get your files converted by click of a button. No doubt it has become everyone’s favourite.